Davidson Brothers launch their amaizng new album All You Need Is Music’ in Melbourne. It seems trivial, but food at festivals is a huge part of the experience, and ever since we’ve been going to Bluesfest, the Byron Bay Organic Doughnut stand has always had enormous queues. Our advice? Definitely get at least one, but get in the line any time you see that it’s short – no matter if it’s early in the day. #treatyourself! NB: It turns out they’ve experienced heavy losses due to the floods, to we’re sending all the sugary vibes their way to be able to bounce back soon! I said it last year and I’ll say it again. Peter Noble knows how to program. Some of the most notable powerhouse performances to hit the Bluesfest stages this year were the electrifying Nikki Hill who blew the socks off everyone and had them clamoring for more, more, more; Kasey Chambers whose stellar set ranged through her back catalogue and her recent works, with everyone watching on proving they were in fine voice – when you’ve got a bearded man singing along word for word to “Am I Not Pretty Enough”, you know you’re on to a winner; Beth Hart stole hearts and minds both in her sass filled set and with her cameo with Soul legends, Vintage Trouble. 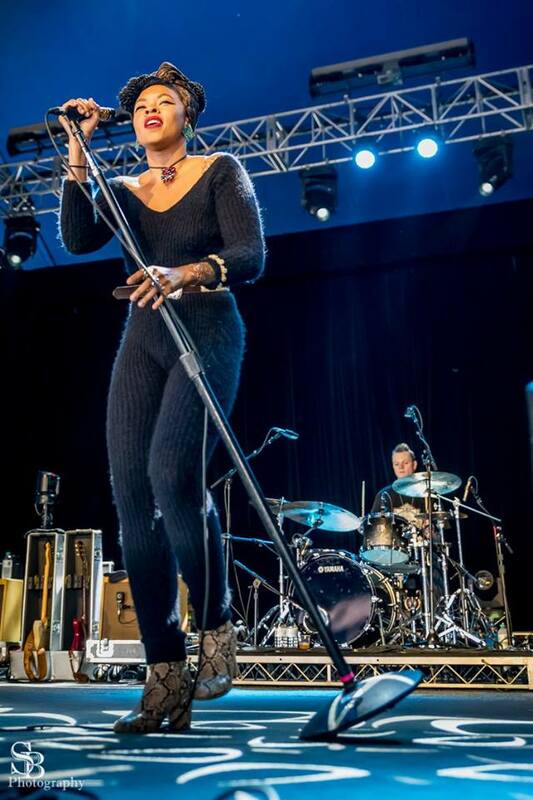 Hart’s prowess and her effortlessly smooth transitions from full band, to solemn brevity on a solo piano piece, to funky piano riffs and soul soaked blues had her a firm favourite in the hearts of Bluesfest. Ok, so some actually do, and it’s sad when we lose a musical talent that has helped shape what we know and love, but the great thing about Bluesfest is the ability to bring out absolute legends who may be advanced in years but still have enough swagger to floor multiple thousands of people at once, just like 80 year old Buddy Guy did on the Sunday at the Crossroads stage, resplendent in polka dots and serving up a voice that shackled the high notes yet melted all the way down through every blues note to the bottom, playing guitar with his elbow, or his belt buckle, or it seems with his just his sheer personality. Mud Morganfield had the crowd entranced with the whim of his jive and old school blues sensibilities. And Mavis Staples blew the roof off the Jambalaya stage when her elegance and grace meshed with the most divine harmonies between herself and her backing singers. Staples spoke of her love for Bluesfest – the warmth and hospitality they receive from the people behind the scenes, acknowledging them as family. She declared that she came “to bring you some joy, some happiness, some inspiration” and that she did. Given it was Easter, it seemed only appropriate that a voice as deep and smooth as chocolate can smother you in blues, as Tony Joe White’s did, rumbling along like a percolated coffee – earthy, enticing, and altogether satisfying. 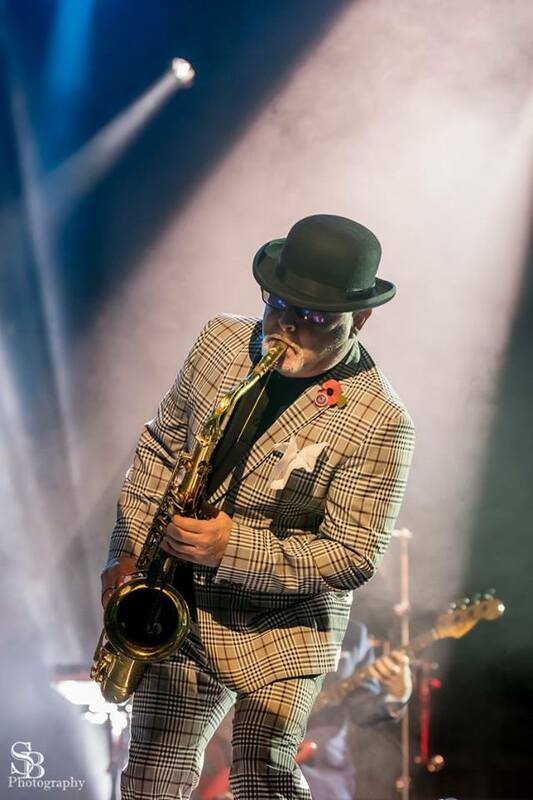 Bluesfest may boast the best line up of Blues, however, it’s steadfast reputation for quality means the door is open for Noble to select an eclectic mix of styles and genres that may be close to, derived from, or inspired by blues music. Trombone Shorty and Orleans Avenue carved up the stage with their cataclysmic, high energy, RnB fuelled, jazz infused funk; Sir Roosevelt’s moody intro and high production values set the scene for the melding of acoustic and dance music – slide and acoustic guitars accompanied a full club scene vibe complete with choreographed dancers! Madness whipped the crowd, both young and old, in to a frenzy with hit after hit. The Boomerang Festival with it’s astounding array of Indigenous performances, country style hoedowns with an electrifying edge, synths vs electric guitars, Hip Hop and RnB, ukeleles and two covers of Bohemian Rhapsody… This year’s Bluesfest had everything. The festival is also a solid community supporter, with multiple fundraising groups on site, drumming up support for their cause. It was heartening to see the Northern Rivers Flood Appeal, a devestating disaster only weeks before the festival, included at short notice int he fundraising efforst at the festival, alongside the famous Cyctic Fibrosis Raffle and the steadfast Playing For Change band. In no way was Bluesfest deficient in amazing female performers, in fact, it feels that year after year, the festival selects some of the best and most inspiring women from around the world to grace the stage. However, these women are almost exclusively front women, women who are the main attraction with a band behind them. Time and time again, we saw bands of all males, whether a backing band or a feature act – if it was a group, it was a high likelihood that the members would all be male. While there were a few exceptions, like Mavis Staples’ fantastic backing singers and the inimitable Little Georgia, the prevalence of all male bands and groups was quite noticeable, especially after the ongoing social commentary about the issue across the music industry of late and with festival and gig line-ups being scruitinised and questioned regularly by the public. While it’s no fault of the Bluesfest team, it is proof of the endemic issue across the music industry which hopefully the inclusive nature of festivals like this can start to shift through leadership and discourse, and innovations like the Buskers stage and the nurturing nature of this festival itself. We want to see more gender diversity across all aspects of music – not just front women, but musicians in bands of all gender identities. I know it will be festivals like Bluesfest that lead the way as a much needed change begins. All in all, Bluesfest left it’s mark on the 100,000+ strong crowds and we’re still dreaming about the amazing musicians we saw. Our full wrap up coming soon, in the meantime, check out the photos by Stuart Bucknell Photography on our Timber and Steel Facebook Page, and if you’re keen to experience Bluesfest yourself, get in line for an early bird ticket to next year’s festival! Melbourne based troubadour Bill Jackson has released, with his collaborator Pete Fidler, the video for his new single “Double Shot”. The track is taken from Jackson’s excellent new album The Wayside Ballads Vol 2 and was co-written by Bill Jackson and his brother Ross Jackson. The latest single from Australian bush music legends The Bushwackers’ latest album The Hungry Mile is “Dirt Under My Nails”. The track was written by Melbourne based songwriter Rich Davies about the migrant experience in Australia. On ANZAC day Yesterday Queensland-based acoustic duo Busby Marou released their new video “Paint This Land”. The video is “a moving and poignant portrayal of timely themes concerning both Indigenous and non-Indigenous veterans” and features Vietnam War veteran Bob Blair. Avid journaler, constant traveller and part time accordionist, Quinton Trembath, has returned to punk influenced acoustic guitar to chronicle his stories of friends and places. Just six months after releasing his first EP, Tuns of Fun, Trembath is back with new EP Good days, These Days, recorded in Hobart with the help of Cal Young and Hannah Morrell. For some added context to the new songs, he has provided us with a photo and anecdote for each song. 1. “Glenorchy” – Glenorchy is a suburb fifteen minutes north of Hobart where I was blessed to spend a week sharing a lounge-room floor with these ten smelly punks. The friendship was cemented one stormy night when Elliott rescued me from the rushing storm-water I had fallen into while we drunkenly explored Hobart’s underground rivulets. 2. “Footscray” – Footscray is a suburb fifteen minutes west of Melbourne where I have spent the past three months making friends, writing songs and sleeping on couches. The few uninspiring months I spent working in Coffs Harbour at the end of last year filled me with a craving for a life more inspiring and I am stoked to be now living in a place where I can see my all my favourite bands both on stage as well as in the local Savers store. 3. “Hazelbrook” – Hazelbrook is a suburb twenty minutes east of Katoomba in the Blue Mountains where my friend Maizy keeps herself busy with a myriad of jobs, bands, studies and other things. We often try to catch up, but due to her unaccommadating schedule of endless commitments and my penchant for constant travel, we’ve found writing letters to be by and far the sweetest way to keep in touch. 4. “Bonville” – Bonville is a suburb 15 minutes south of Coffs Harbour, where on a particularly depressing afternoon in December, my long time friend Rae and I were lucky to find that sometimes all it takes to lift a horrendous mood and derail a suicide pact is an old friend, a case of cheap tins and a rickety swinging garden chair dumped on a curbside. 5. “Glebe” – Glebe is a suburb ten minutes out of Sydney’s CBD where my bicycle frequently spent the night locked up to the front railing of my friend Ellen’s charming terrace home last year. I wrote this song in Vietnam after spending a number of days with her in Indonesia where she nursed me back to health from a bad case of food poisoning. Good Days, These Days can be downloaded for “name your price” at Quinton Trembath’s Bandcamp.